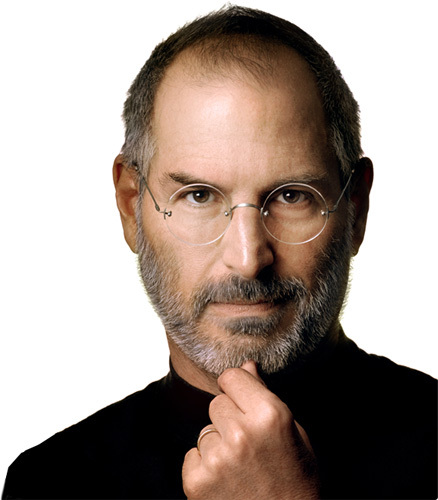 The great innovator Steve Jobs has resigned as CEO of Apple. He is one of my inspirations in life for innovation. It’s a sad news that he has stepped down. Apple still can continue without him and reach new heights, but will there be any innovation and great design? All their products aren’t affordable that I couldn’t buy anything other than the iPod 🙂 but still I keep checking their site for the news and fall in love with all new Apple products. Currently I’m reading a book about him – Inside Steve’s brain. I am yet to complete the book and hearing his resignation news today is just sad. I always remember Steve Jobs for the following. He was dropped out of college. His Black Turtle-neck T shirt and Blue jean. I wish him good health. Thank you Steve Jobs for inspiring me in life ! !